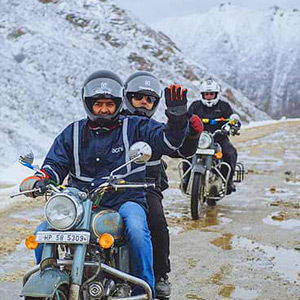 High on adventure as its location ‘Land of high passes’ Ladakh is one of the favorite travel destinations in India. Snuggled in the lap of high mountains, the region abounds in natural beauty, lakes, monasteries, ancient villages, trekking trails, and unlimited adventure. 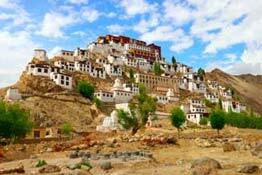 Escape to the domain of the mountains with our 7-day Ladakh with flight itinerary. 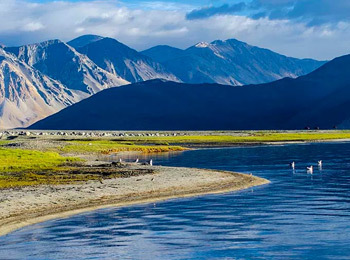 The fix departure tour is available for the best time to visit Ladakh, 15 May to 22 June. Go through the itinerary for complete details. 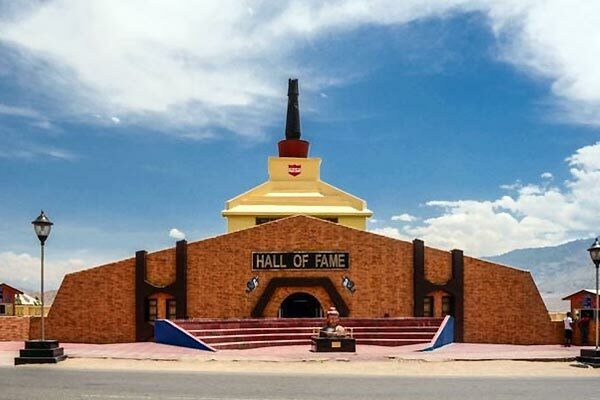 Sightseeing in Ladakh- Magnetic Hill, Military Hall of Fame, etc. The tour starts with your arrival in Leh Airport in the morning. Meet our representative and get assisted transfer to the hotel. Check in at the hotel and rest. The day is free of plans for you to get acclimatized to the high altitude at Leh (11,500 ft/3500 m). You can choose to explore the area. Walk upto the market to enjoy the sights and sounds of the old town. Return to hotel for overnight stay. Start the day with hearty breakfast at the hotel. Get ready for the day and begin your drive to Sham Valley. En route, stop at Likir Monastery. Here you can marvel at the great statue of Maitreya Buddha. Later, proceed to visit the Alchi Monastery, to view the 1000-year old murals which are also listed among the best Buddhist miniature paintings. On your sightseeing tour, enjoy the view of the Magnetic Hill or the gravity hill, which is a natural wonder of the region. Also pay your respects at the Military Hall of Fame. Established and maintained by Indian Army, it is a museum and memorial of the war heroes. After the exciting day, return to hotel for overnight stay. Wake up early and have breakfast at hotel. 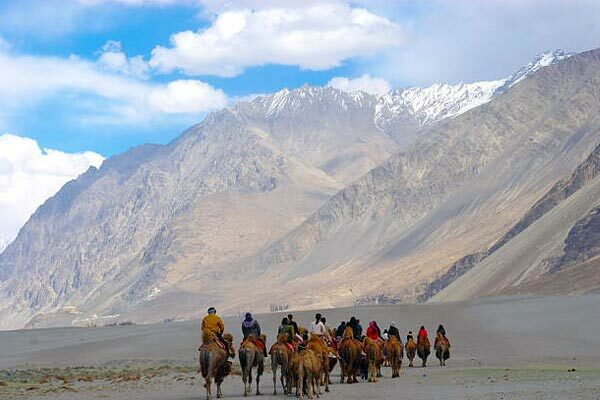 Later, leave for the Nubra Valley. The charming landscape in Ladakh is unique in every way. 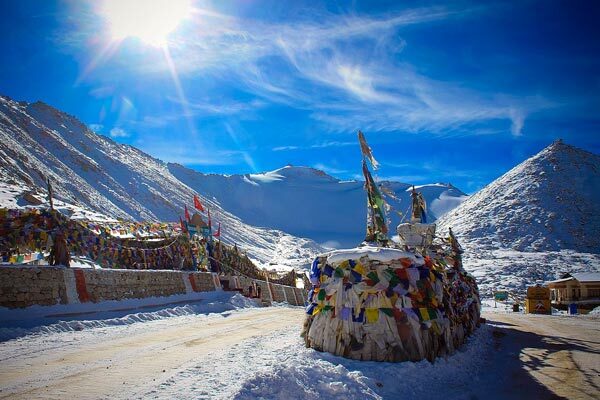 Drive across Khardung La pass, set at an altitude of 18,380 ft. it is one of the world's highest mountain passes. Enjoy the beauty as you arrive to the Sumoor area for sightseeing. Here you can enjoy the beauty or visit the ancient monasteries, etc. Here you can either check into a fixed tent camp in Sumoor or proceed with drive to Diskit. Enjoy an overnight stay in a camp. Today in the morning you will pay a visit/explore Diskit and Hunder. A unique spectacle, Hunder is home to sand dunes at high altitude, it is one the rarest cold desert in the world. Here you can enjoy a short camel safari. 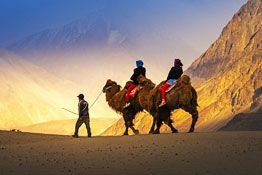 Ride the double-humped Bactrian camel found here. (As this is an optional activity, you have to make the payment directly at the site). After a well-spent day, drive back to Leh and arrive by afternoon/ early evening. Overnight stay is arranged at a hotel. Start the day early to drive to Pangong Tso Lake. 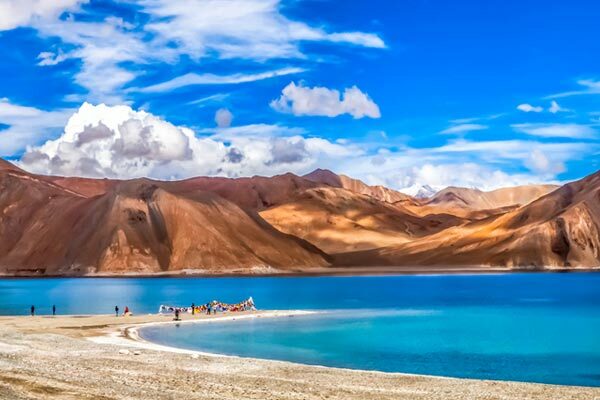 The beautiful lake displays multiple shades of blue taking your breath away. 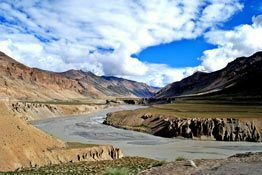 The journey is approximately of 145 km, located on the Indo-China Border. Travel via the Chang La pass seat at an altitude: 17,370 ft., one of the highest mountain passes in the world. 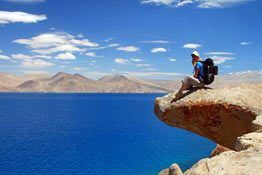 On arrival at the Pangong lake site, enjoy the sights around. Here you can check-in at the fixed tent camp near the lake at Spangmik. Or, drive back to Tangtse, 30 km away to check into the hotel/guest house for overnight stay. Wake up early to enjoy sunrise at Pangong Lake. The sun's first rays falling on the blue waters is a spectacular view. After a hearty breakfast, get back on the road to Leh. Start your drive across Chang La. 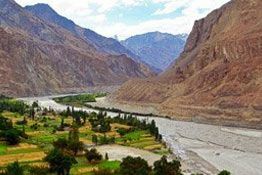 At Karu, you will drive across the Indus River. Savor the breathtaking views all through the journey. Get to the hotel for overnight stay. Today marks the end of the Ladakh tour. Avail the early morning transfer to the airport. Board the flight to get back home with fond memories. Booking should be made before the 20 days of departure. Seat subject to available as per date. The booking will only hold for two days. 40% of booking amount should be made on confirmation time. 100% of tour amount should be made prior of 15 days of departures date. Cancellation charge 50% of total tour amount prior of 25 days of departures. Needed ID Proof on confirmation time. Further matters as per airline policy. 5% GST Extra on total cost. Guide will be available only on above strength of participation minimum 07 Pax. Oxygen cylinder is not included in the package. Hotel vouchers / confirmation status will issued before 10 days arrival. Minimum 7 participate and maximum 10 participate in batch. All taxes included in our rates are as on date. Any future hike will be charged extra as applicable. Jurisdiction Clause : All the disputes arising out of this agreement or any other subsequent agreement would be subject to Delhi Courts only.